Scrubs and cleans in a single step. Apply a few drops of bore cleaner to the front of the cord and oil to the end. Drop cord into the bore and pull through five times. The built in, bench-quality phosphor bronze brush and braided floss scrub, clean and oil the bore in just minutes. Washable and reusable; lightweight design folds neatly away for easy storage and carry. 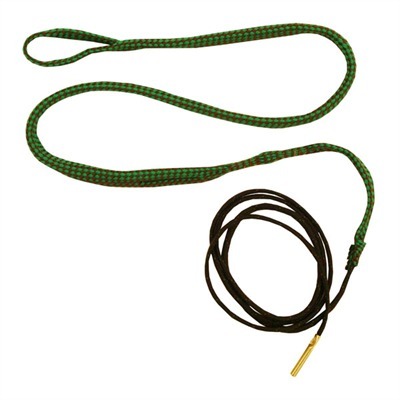 Mfg: Hoppes SPECS: Braided nylon cord, nylon floss.